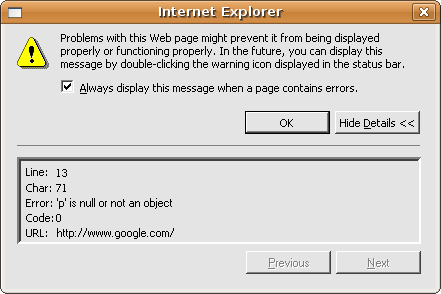 I get the same error using HtmlUnit. How to avoid/getaround this error? The Thread.sleep(50) is important here. Without it, the test will pass because some JS code started with setTimeout won’t have time to be executed. I understood how to AVOID the error(by using type(…) but cant I somehow suppress(not avoid) the error and let htmlunit proceed with processing the page? Can you please tell me what is causing the error? Is my implementation ok? I don’t understand what you make for a difference between *avoid* and *suppress*. 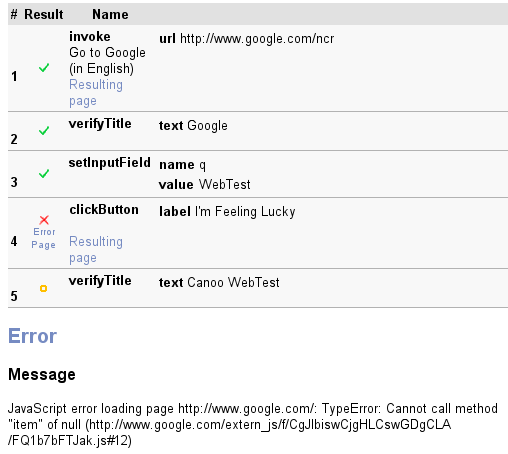 You have to ask by Google, not by me, if you want that the page doesn’t produce any JS error. this blog is not intended for issues with HtmlUnit. Please use HtmlUnit mailing list instead. I just installed web test and I really, really need a sample that simply works, just to validate my install and see working tests and get going with this product. Mark, can’t you post a totally done sample against some other website, like maybe your own site? Just for install validation for us total newbies. It would be a huge help.